We are proud to present a high-quality and very nice protection for sensitive board noses. 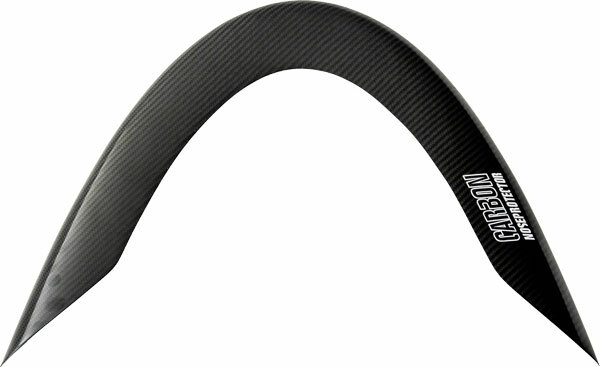 The Carbon Noseprotectors are approx. 250g to 400g (based on size) light and fiber-oriented to achieve an extreme impact resistance. The inner surface is rough to obtain a maximum adhesive force on the board. 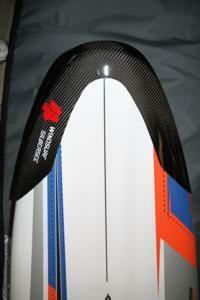 We alternatively offer the Protector also from GRP fabric with a surface carbon layer. This is a little bit cheaper, but however with approx. 300g to 450g a bit more heavily, than the 100% Carbon Noseprotector. please ask for international shipping! A mounting instruction will be included in the delivery. The delivery time is about 2 to 3 weeks because of the high demand we have in the moment. If the mast strikes the board nose during a crash, it could cause a serious damage in the nose. 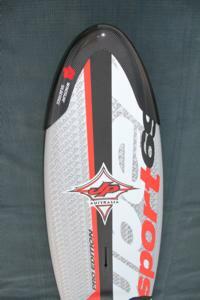 An impact resistant Protector, which protects the board nose, with a very small weight and really nice design.